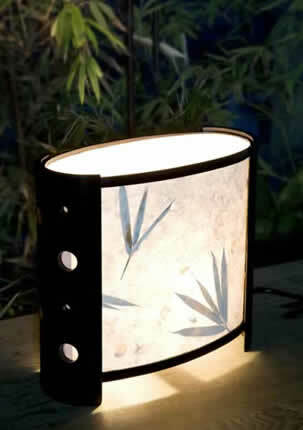 It’s made with bamboo leafs with the lighting paper together for creating the unique feeling for desktop lighting and perform also a home decor too. The frame is made with bamboo too, all materials are the environmental one. It's also the priority choice for the graphic design to put on their desk for inspiring more ideas during the night time after switched off the main lighting supply. Since with such materials, it provide the unique mild feeling for the people to have good feeling emotionally. It’s also a wise idea for putting to the room especially the study room or to be the main lighting supply during reading the novel in the night time. Else of it; it can also play as room decor and lighting supply for the bed room too.